Not sure where to find DSE assessments that not only tick the compliance box but also keep your staff healthy? Is your aim to provide a safe working environment for your staff; then why not take a look at how this can be achieved for you? DSE assessments vary in depth and price and some DSE assessors provide little more than just literally a tick in the boxes. The key is to make sure your assessment help you in protecting your employees long-term health and aren’t just ticking a series of boxes. Many thanks for the assessments undertaken in our London offices; feedback has been excellent and the service very prompt and efficient. We are often called upon to provide specialist ergonomic assessments to companies where problems are already identified. In fact much of the work we undertake is about providing expert input into what solutions are needed; much more than a tick in the box. Why not see what can be done for your business? If looking for DSE assessments that are fully compliant with legislation, protecting both your business and your employees, then MESH Consultants can help either in person or through our DSE risk assessments online solution. We guarantee our assessments will help to protect your employees and your business. For evidence of DSE risk assessments work we’ve done please see what our customers say and some of our case studies. We provide highly professional DSE assessment services that guarantee your business will if following our guidance provide a safe & healthy workplace with staff trained to understand risks from DSE working. This will mean you will never have to worry about a visit from the HSE. Our guarantee is that, in the unlikely event of any negative contact from the HSE, we will be available (free) to support you in your response. All we ask is that you have followed and implemented the DSE user recommendations that we make as part of our work for you. Costs of DSE risk assessments vary depending on the numbers of assessments to be carried out. These costs will typically reduce for larger numbers of assessments undertaken within the same location. As a guideline, fees for work recently undertaken have ranged from as little as £39 per workstation which includes individual assessments and training of each individual in how to set up and use their workstation, plus a supporting documented DSE risk assessment for each individual. We undertake full individual DSE assessments for your staff, which includes workstation setup training and individual DSE assessment reports. We can train persons within your organisation to undertake DSE risk assessments. We can assist larger organisations to identify an appropriate online DSE training and risk assessment package and provide both administrative support and detailed follow-on assessments for staff who have been identified as being at risk. What we provide is legislative DSE compliance, which, when adhered to, will keep the HSE from your door. 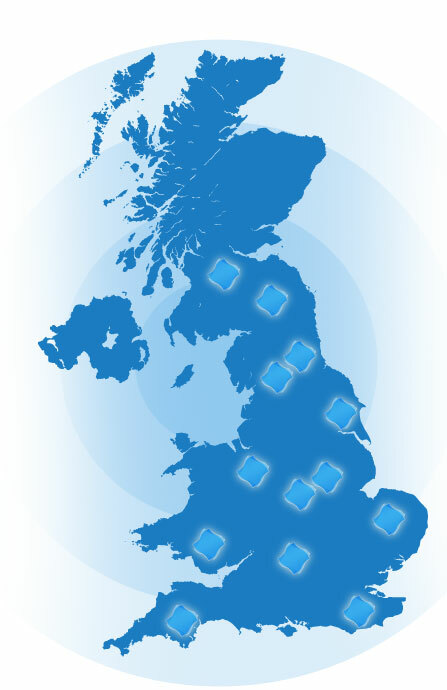 MESH carry out DSE Risk Assessments for companies in a diverse range of industries throughout the UK.